ALLEGRA BOVERMAN/Staff photo. Gloucester Daily Times. Gloucester: The Gloucester Maritime Center works with classes at Veterans Memorial Elementary School from time to time. For the third grade science unit on rocks and minerals and sediment, Curtis Sarkin, an educator from the Center, taught the children how sedimentary rock is formed and how fossils get created. 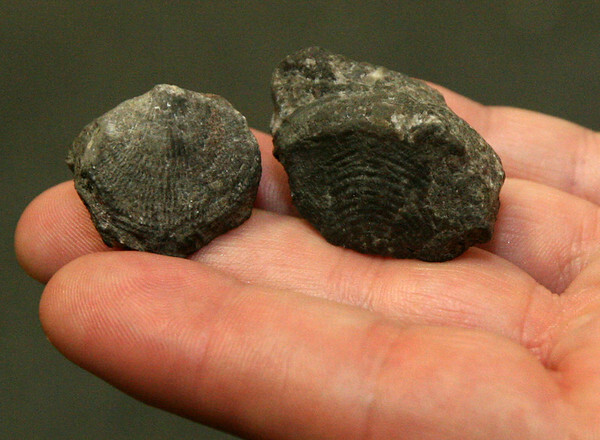 He brought a few of his own fossils he has found, these are two brachiopods, or shellfish.